I love this time of year - where you can reap the fruit of your hard labour in the garden. Only problem is that it all comes at once and you are left trying to figure out what to do with it all. Of course, you can freeze some of it but there are some vegetables that don't freeze that well (at least I don't like them when thawed again). Beetroot is one of them. I already made jars and jars of Beetroot Chutney. This is a yummy relish that goes so well with most types of cheese and it looks so pretty with its dark reddish colour. Prepare a cheeseboard and have the chutney in little dishes in the middle of it. 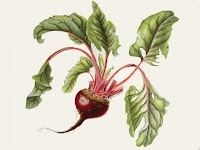 It is easy to make, just chop raw beetroot and put it with a chopped red onion in a preserving pan (I also added chopped apples), add vinegar, sugar, salt and let it bubble away until it becomes syrupy and the beets are cooked and tender. Fill sterilised jars and let mature for about a month before you eat it. Stores for up to a year. Keep in fridge when opened. Another option is of course, pickled beetroot which is so much nice than the shop-brought stuff. I have prepared a similiar risotto to this but I add fennel with the onions at the start for that lovely aniseed flavour.... shelling broadbeans is a pain! Hi Warren, yes I agree, shelling broadbeans is a pain but worth the effort when prepared nicely. 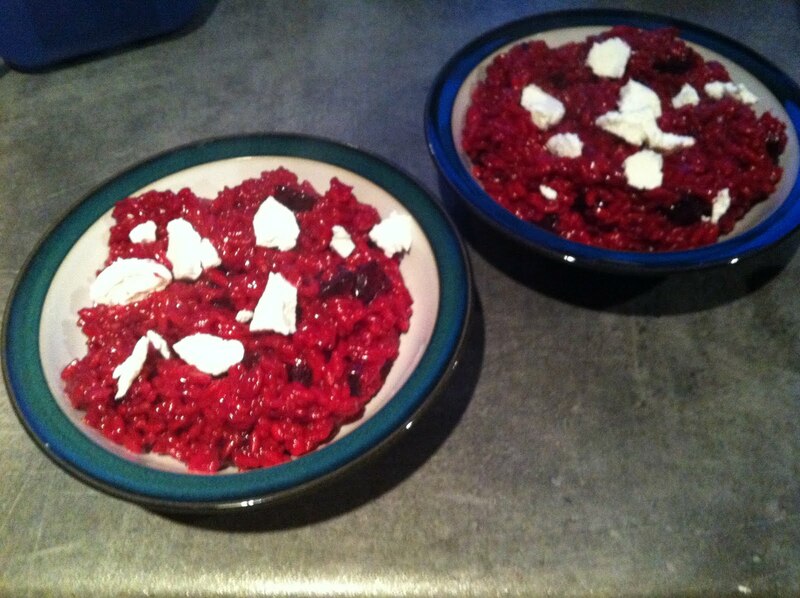 I made beetroot soup last night but have to say I liked the risotto more.